Ultimate Ears' high-end Bluetooth speakers now allow Android and iPhone owners to use voice prompts to control their music. 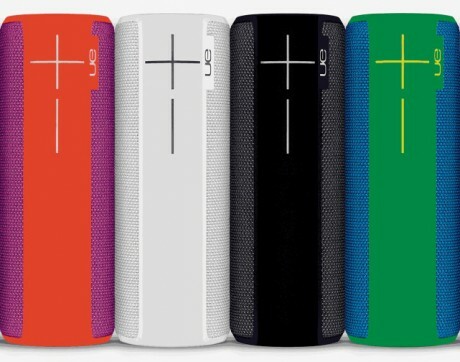 Ultimate Ears is rolling out a firmware update for the UE Boom 2 and UE Megaboom that adds Google Now and Siri support. The update must be installed via the Ultimate Ears mobile app. Once added, smartphone users can ask Google Now or Siri to play their favorite songs, albums, or playlists. According to Ultimate Ears, its speakers are simply acting as a microphone. Voice commands are based on those already supported by Google Now or Siri, which means people can address Google Now and Siri via the UE Boom 2 and Megaboom using any language those services support. Similarly, people can interact with any music apps Google Now and Siri support, such as Google Play Music, Spotify, iTunes, and Apple Music. A quick press of the Bluetooth button on the speaker itself puts the speaker in listening mode, allowing people to use voice commands to change songs. Ultimate Ears says its mobile app does not need to be running on the associated phone in order to use the feature. The Ultimate Ears mobile app is free to download from the Google Play Store and iTunes App Store. The UE Boom 2 costs $180 and the UE Megaboom costs $250. Apple Pay and Google Pay are closer to being accepted everywhere, with the announcement that Target, Taco Bell, Jack in the Box, Hy-Vee and Speedway are now rolling out support for NFC payments. Target was one of the last big holdouts in supporting the technology, which lets you simply tap your NFC-equipped phone or smartwatch on the card terminal to pay. Pebble today improved its smartwatch platform with more health and fitness features. The expanded toolset is being made available through a firmware update for the Pebble Time-series watches as well as the accompanying Pebble app for Android and iOS smartphones.